Make a statement! 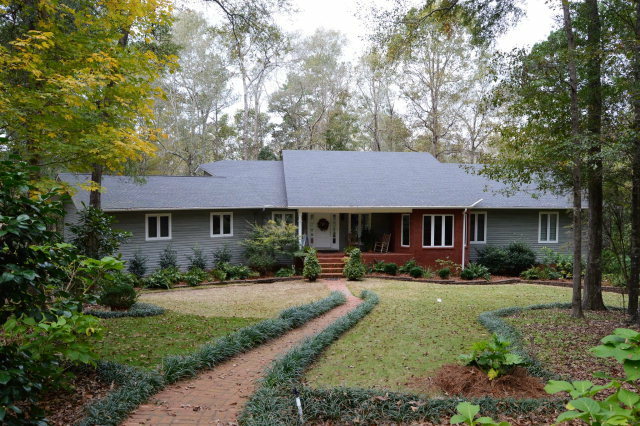 Custom home on a 6 acre, PRIVATE wooded setting! Abundant natural light floods this open floorplan! Lg family rm with 22 ft vaulted ceilings opens to kitchen, bfast & dining rms. IDEAL FOR ENTERTAINING! Master suite features 5-fixture bath w 2 w/I closets & sitting rm! Study w/ built-ins; Plus, 2 addl bedrooms & bath on main floor; basement area includes finished bdrm & bath, huge heated workshop & addl strg area. Newer roof, newer H/AC; And watch nature from the large back deck! YOU MUST SEE THIS BEAUTIFUL HOME! MOTIVATED SELLER........BRING AN OFFER!